All of the equipment used under Occupational Safety and Health Administration or OSHA is regulated for safety and proper use. In March of 2017, a memorandum went out to regional administrators letting them know about the exemption of the variable boom reach equipment, also known as reach stackers in lay terms, that was added to the 29 CFR 1917.50 Certification Requirement for Marine Terminal. This new code addition means that reach stackers no longer have to comply with the previous certification requirement. A reach stacker is a power-driven mobile truck which is used to handle and stack materials and has the ability to move loads horizontally and vertically. Due to the description, the reach stacker falls within the definition found in subparagraph (j)(1) as an exemption to the certification requirement. With that decision, the companies that manufacture reach stackers are able to reclassify these machines as powered industrial trucks. This is the same reclassification that took place for container top-loaders which are very similar to reach stackers because they also stack materials, but only vertically. There are a few exceptions found in the 29 CFR 1917.50 for maritime terminals. Some of those exemptions for equipment per guidelines are “any straddle truck not capable of straddling two or more intermodal containers 16 feet (4.88 m) in width 1917.50(j)(2), and gears used only for handling or holding hoses, handling ship’s stores or handling the gangway”. 1917.50(j)(3). The Maritime Advisory Committee on Occupational Safety and Health had met in late 2016 where industry representatives had the opportunity to express concerns about OSHA considering a requirement that reaches stackers are certified under the current 29 CFR 1917.50. There was a follow-up conference call about the changes, concerns, and consideration of the exemption by OSHA. The final decision was made, and the reach stackers were made exempt through the 29 CFR 1917.50. 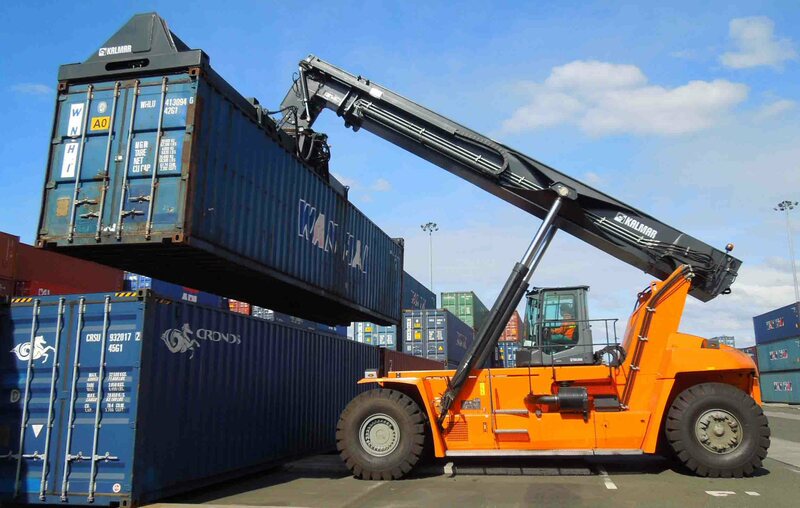 To sum the changes, in a nutshell, the reach stackers used at marine terminals to move maritime cargo, load and unload cargo, are exempt from the certification requirement because they are considered powered industrial trucks and all powered industrial trucks are exempt from the certification requirement.